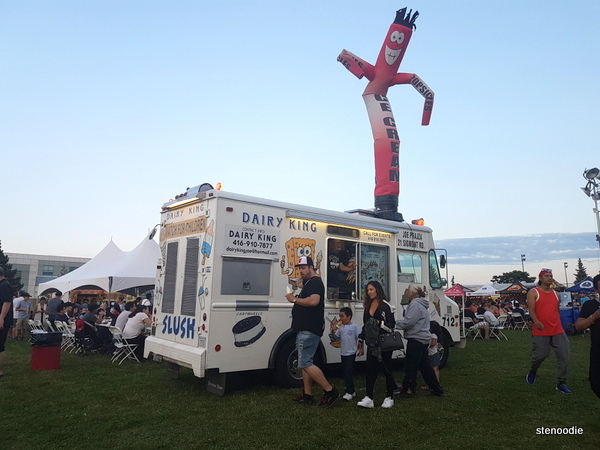 The Thornhill Rib & Craft Beer Fest was held at 1441 Clark Avenue West (on Dufferin north of Steeles) and right next to the Vaughan Secondary School. 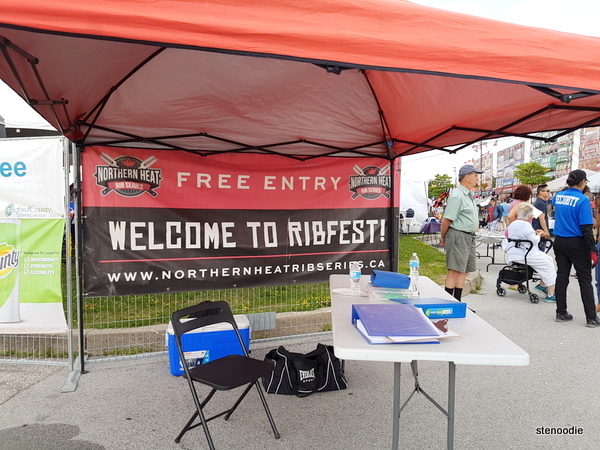 It was a three-day ribfest from July 27 to 29. We attended on the first day and arrived there just after 6 p.m. and before the weekend crowds started coming in. It was a very well put together event with a quick security checkpoint at the entrance (and free ample parking at the lot of the secondary school). 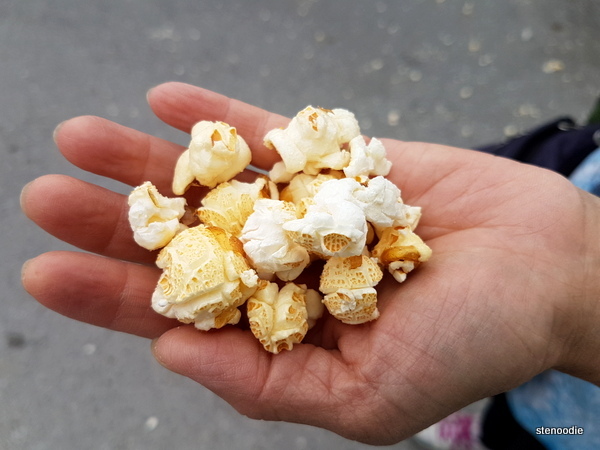 Upon entering, we received free popcorn to taste! It was warm and a bit sweet. 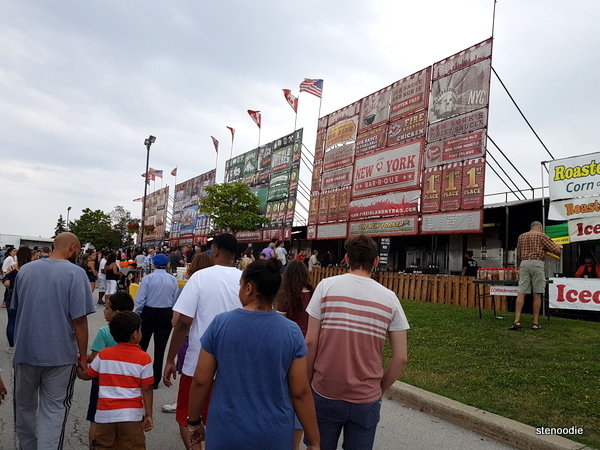 Right away, we lined up for the first ribber that we saw, which was the New York BBQ one. We were hungry and it really didn’t matter too much which one we lined up at. There were five ribbers in total: New York BBQ, Oak & Barrel, Kentucky Smokehouse, Louisiana BBQ, and Memphis Blazin’ BBQ. We ordered the 1/2 rack with 1/4 chicken since I was curious about the chicken. It actually started raining halfway into the line-up and I’m so glad that we had brought umbrellas to shield us from the sudden downpour. Luckily, after we ordered and found a seat to eat the ribs underneath one of the tents, the rain and rain clouds went away. The rack of ribs were fall-off-the-bone and the meat was quite ‘shredded’ and it was good for the most part. The chicken was overly burnt but the meat underneath the skin was somewhat moist. 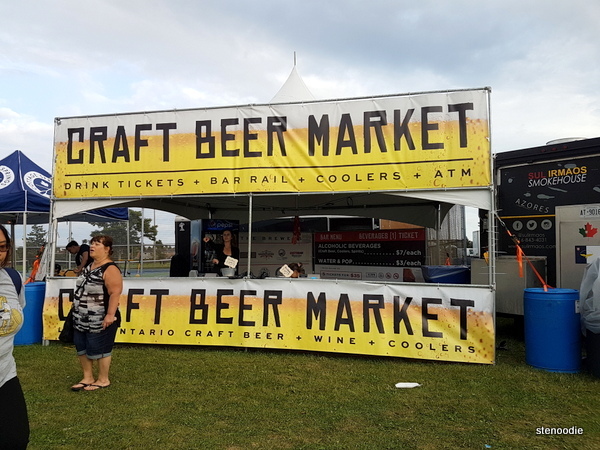 Next, we got a beer from the craft beer stalls. There were quite a lot of them and I chose the cute-sounding “Bear Hug IPA” beer from Market Brewing Co. It had a fusion of tangerine, pineapple, and evergreen notes. 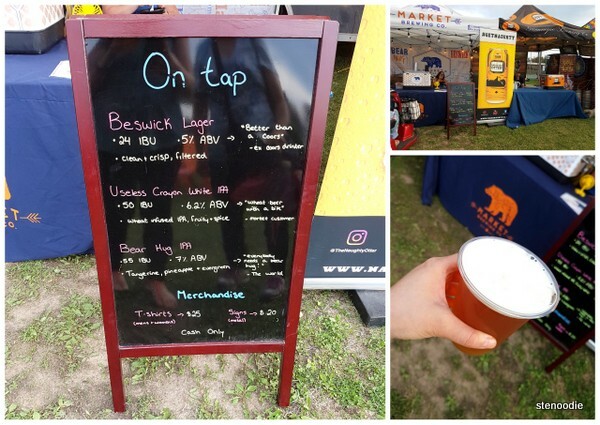 Bear Hug IPA from Market Brewing Co.
We took a stroll around the other food trucks and food vendors, which was quite varied! 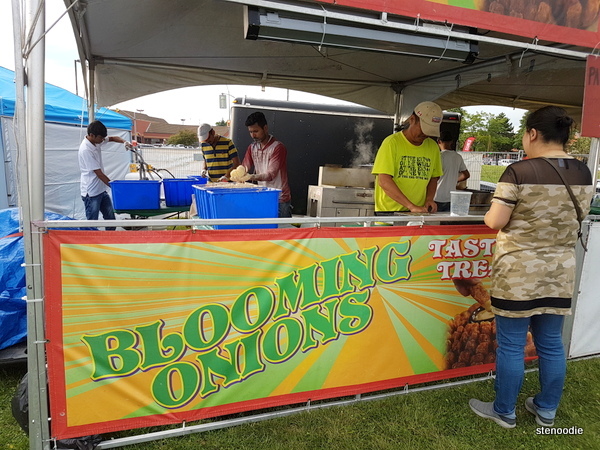 There were a lot of people lining up for the Blooming Onions stroll and if it weren’t for the fact that it was just the two of us, we would have wanted to try it too. We returned to the ribbers and this time lined up for the Louisiana BBQ. We also got a 1/2 rack from here. 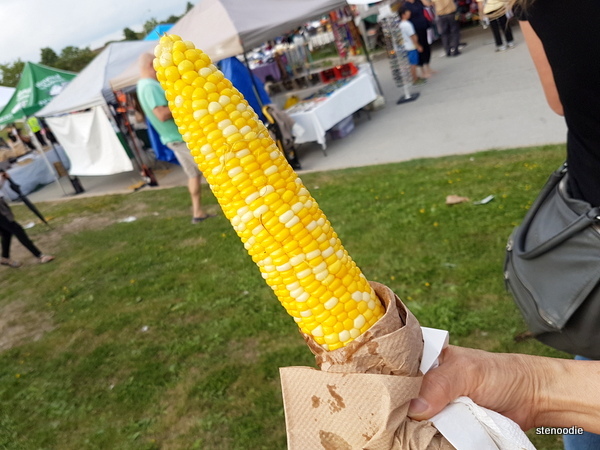 The line-up was just as long as the first one. My mom actually wanted to try the beef ribs, but we ended up just getting the pork ribs. 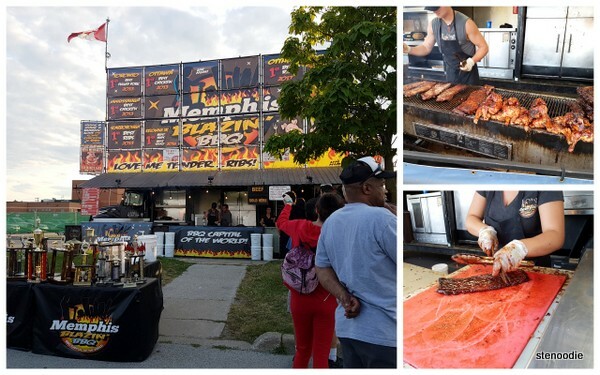 After this, my mom still wanted to get some beef ribs from somewhere so we lined up at the Memphis Blazin’ BBQ stall. This line-up was a lot longer than the other ones, but we saw how the ribbers really took time to make sure the ribs were cooked well. 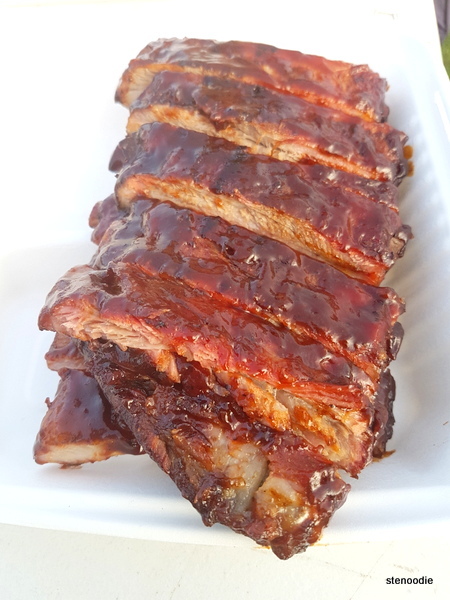 We still ended up with pork ribs (since the beef ribs didn’t look as popular), but this time we got a full rack of pork ribs instead. 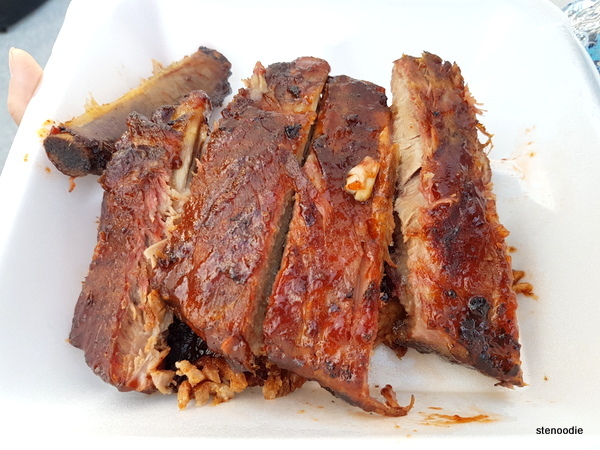 We sat down with the two sets of pork ribs and chowed down. 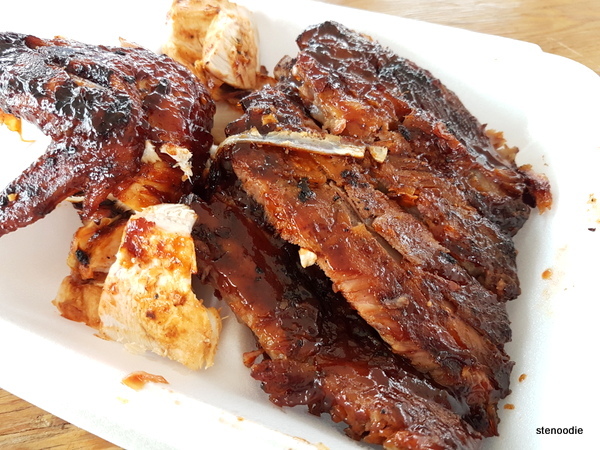 I really liked the Memphis Blazin’ BBQ as the meat on the ribs was so firm! The Louisiana BBQ one was good too and had a sweeter sauce. 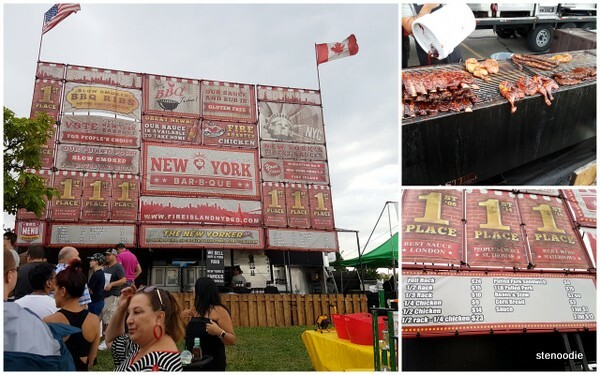 This entry was posted in Food and tagged and Memphis Blazin' BBQ, Bear Hug IPA, Buttered corn on the cob, craft beer market, foodie, Kentucky Smokehouse, Louisiana BBQ, Louisiana BBQ ribs, Memphis Blazin' BBQ ribs, New York BBQ, New York BBQ ribs, Northern Heat Rib Series, Oak & Barrel, rib festivals Toronto, rib fests in Toronto, Thornhill Rib & Craft Beer Fest, Thornhill rib fest, Thornhill Ribfest food, Toronto food blogger, Toronto rib fests. Bookmark the permalink.